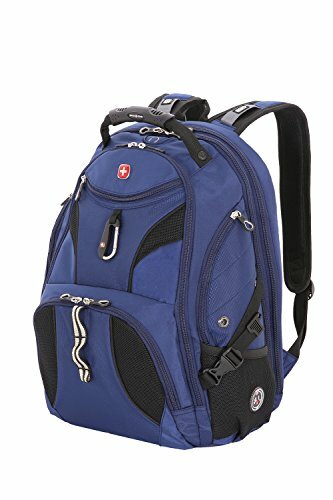 Swiss Gear backpacks are super convenient for frequent travellers, because most of them are TSA friendly and will save you a lot of time when going through TSA airport checks with your laptop. And two of Swiss Gears best models for this are the 1900 and 1923. Both are very affordable, packed full of features and great to travel with, especially with your laptop. But, there are some big differences that are worth knowing about before choosing. Most are highlighted in the table below, but I have gone into detail further down. 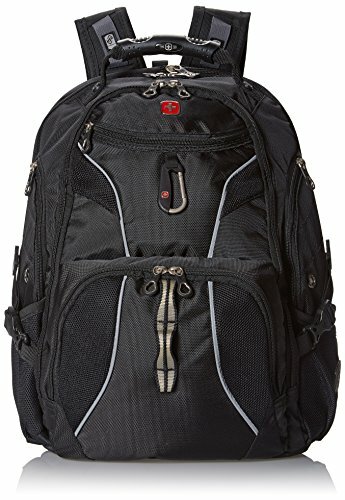 Which Swiss Gear Backpack To Opt For? You want your backpack to be as lightweight as possible, because you are going to fill it to the brim anyway. And, a fully packed backpack is heavy enough without the added weight of its own construction. 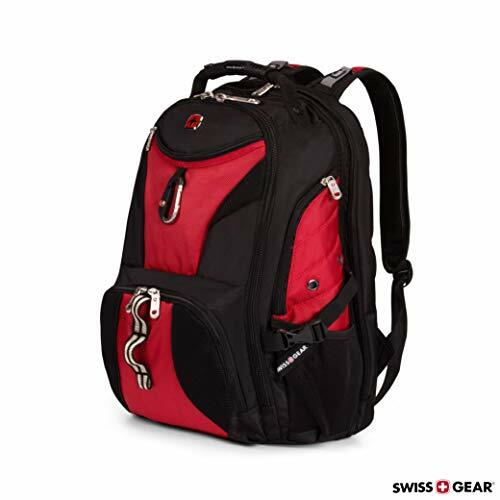 The Swiss Gear 1900 backpack weighs approximately 3.3 lbs, and the 1923 weighs 3.09 lbs. The weight difference is really not that big, but if you are looking for the ultimate lightweight backpack, then go for the 1923. Both backpacks have a dedicated padded compartment for laptops. The 1900 is able to store laptops up to 17”, whereas the 1923 is designed to fit laptops up to 15” inches of size. Obviously, if you have a 17” laptop, you should get the 1900, as you will not be able to get much use of the 1923. In addition to that, the 1900 is also equipped with a padded sleeve for your tablet; a feature that the 1923 appears to lack, unfortunately. If you do not own a tablet, then this probably will not be a big deal to you. On the other hand, if you do have a tablet and you like to carry it with you on your travels, then the 1900 is the obvious choice for you. Another thing to note about the 1923 is that its laptop compartment actually opens on the side. Because of this, it might be a little more difficult to get out your laptop, especially if it’s a 15.6” one. 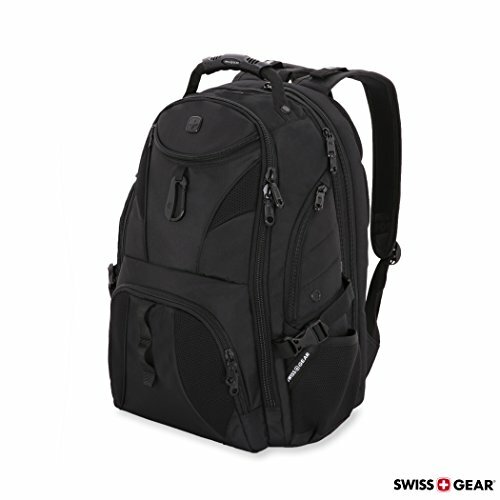 The Swiss Gear 1900 is made of 1200D ballistic polyester. This is an incredibly durable, weatherproof material that is able to withstand all kinds of harsh conditions. The dimensions of this backpack are: 18.5” X 13.5” X 9”. The 1923 is also made of durable polyester, and really there aren’t many differences when it comes to the materials these backpacks are made of. The 1923 is however a tad smaller, with the following dimensions: 18” x 13” x 8.5”. This difference is practically insignificant, but it is important to have all the facts when purchasing a new piece of equipment. Both backpacks are water resistant. However, this doesn’t mean that you can go for a swim with your backpack, but rather that if you get caught in the rain, your belongings will stay dry. 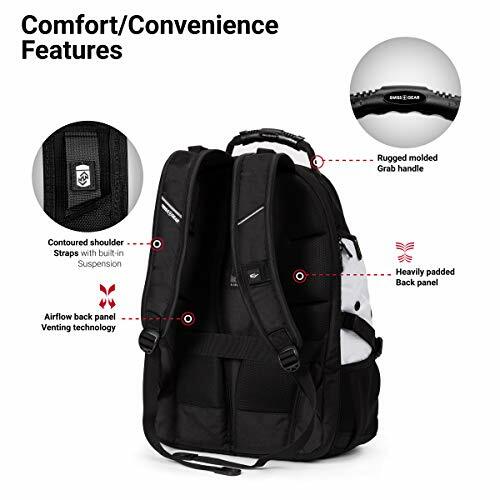 This is especially important because both backpacks have dedicated compartments for your electronics, and you will want to make sure that your electronics will not get damp. 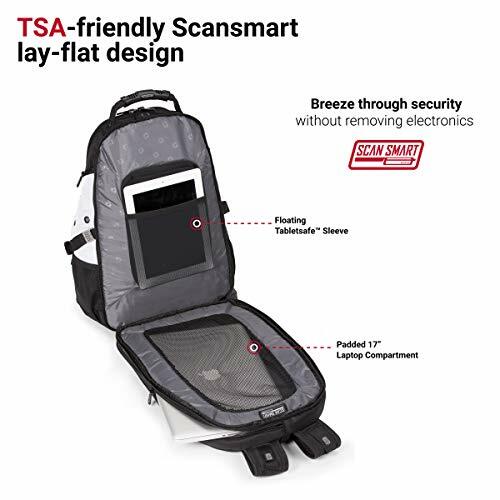 The main feature of both these backpacks is that they are TSA friendly, with the ScanSmart technology. 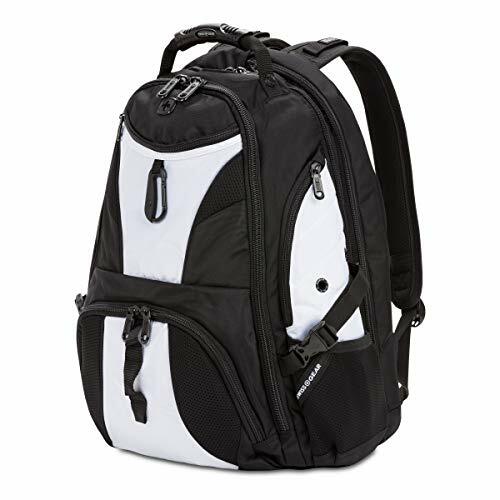 The ScanSmart technology is simply the feature of these backpacks that allows them to be opened clamshell style, and that exposes the laptop compartment. The laptop is visible through a plastic window, which removes the need the take it out of your backpack for checkpoints. Once you get to the TSA checkpoint, all you have to do is lay your backpack flat on the x-ray belt, and you are done. There are also several other things they have in common, the multiple compartments, for example. 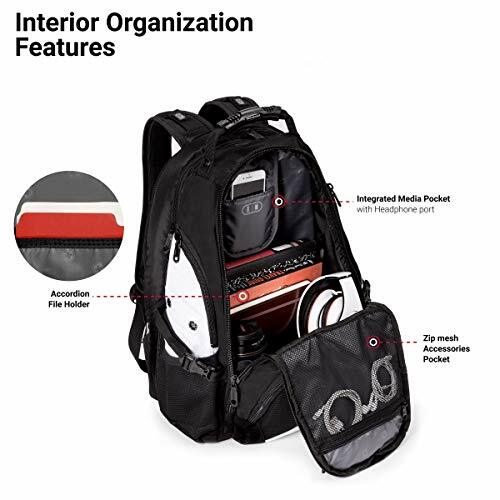 Both backpacks are equipped with easily accessible side water-bottle pockets, as well as multiple dividers on the inside, and several smaller pockets on the outside. A superb airflow system is another thing that the 1900 and the 1923 share. 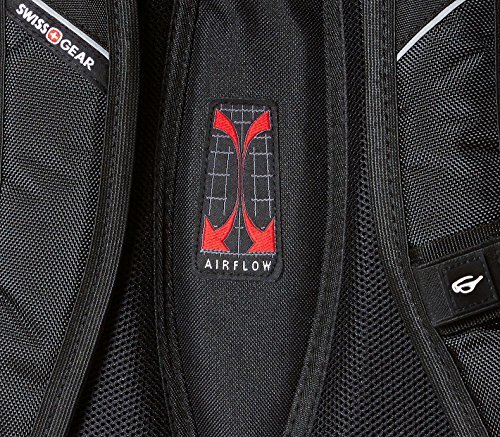 There is mesh fabric on the back panels of both the backpacks that allows for excellent back ventilation and support. A sweaty back will be a thing of the past regardless of which backpack you choose. Both the 1900 and the 1923 are also equipped with a dedicated media pocket, with an integrated headphone port cord. If this feature is important to you, you will be happy to know that you can opt for either one. Both backpacks also have countered, padded shoulder straps. The straps also feature breathable mesh fabric, as well as built-in suspension. Whichever you choose, it will feel incredibly light on your shoulders, and it will not hurt them or your back. Another cool feature of the shoulder straps that these backpacks share is the sunglasses holder loop. Compression straps are something else these 2 have in common. They are there so that you can tighten the contents of your backpack, so that everything stays in the exact same place. This is especially beneficial if you carry around fragile items, from time to time; you wouldn’t want those to be tumbled around. Well, that basically only depends on the size of your laptop. If you have a 17” laptop, then the 1900 is a better fit for you. On the other hand, if you have a smaller laptop, then the 1923 is the better fit for your needs. On top of that, the 1900 is usually cheaper, and it's laptop sleeve is padded. So for me, it's a no brainer - the 1900. Organizer Pocket; Padded Shoulder Straps,Product Dimensions are 18 x 13 x 8.5 inches. However, both these backpacks are of amazing quality, and they are incredibly similar. They share a ton of useful features, and they are even priced in the same range. Both are a great fit for frequent travellers, students, hikers, and basically anyone who has to carry around a lot of things, and wants those things to stay organized and safe. Whether you choose the 1900 or the 1923, you will not be disappointed. 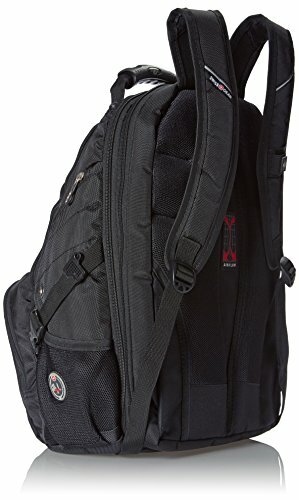 Head on over to Amazon to get a great deal on any one of these awesome Swiss Gear backpacks!